Pre-post note: I apologize for this being so late and after the fact; having a full-time job during the week and a part-time job on the weekends really cuts into my writing and posting time. 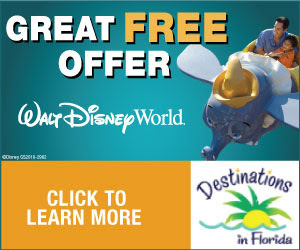 I have two obsessions in life; Walt Disney World Resort and runDisney. Thank God I'm not married because I think I'd have a very hard time explaining to my wife why I'm always out running or park hopping! Last month, I was very fortunate to be able to take part in the first ever runDisney meet up that didn't take place on Disney property or during a race weekend. For the past couple of years, I have tried desperately to get into the runDisney meet ups whenever they were announced. I was never fast enough with my response. However, leave it to the Magic of Disney and watch me get picked to take part in and event that's happening over 400 miles away from my home in Orlando! The funny thing is, I never hesitated one time. A six hour drive was not going to stop me from hanging out with my awesome runDisney family. Now, I won't bore you with the awesome details of my six hour drive that started at rush hour on Friday evening from Downtown Orlando. Let's just skip to the good stuff that happened on Saturday morning. After getting a whopping three hours of sleep, my trusty iPad alarm went off, and for once, I didn't hit the snooze button; I was too pumped up! A quick shower (yes, I sometimes shower before I run) and I was out the door to meet some new team runDisney friends from the world of social media. The hotel was located directly across the street from Turner Field, home of the Atlanta Braves. This is where our adventure would begin. After a brisk walk to the stadium (in the fog and chilly temperatures), we quickly registered with the runDisney team and received a pretty cool tech shirt to mark the event. Some people are medal fiends, but I LOVE my tech shirts and this one was going to have a special place in my ever growing collection. I was born and raised in Michigan and survived some pretty nasty winters. With that being said, I have lived in Florida for almost 24 years and I must admit that I was a tad chilly and just slightly unprepared. 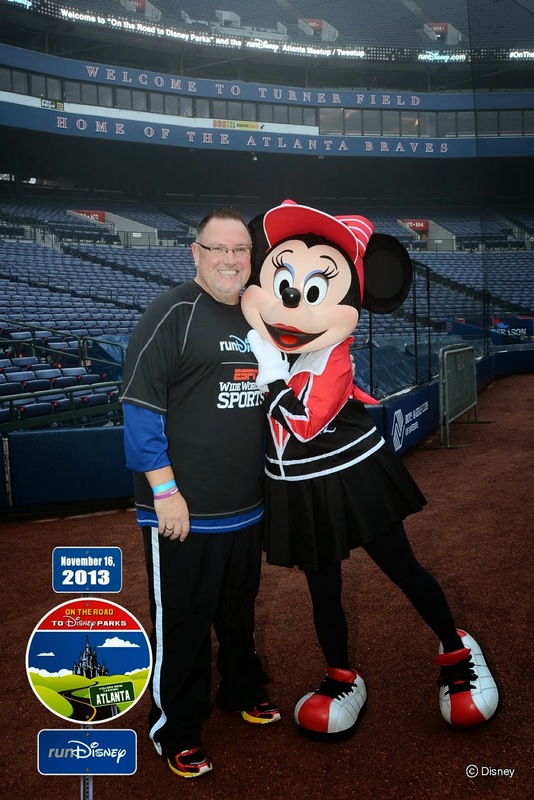 Thank goodness for that runDisney tech shirt or this fella would have been shivering his way through Atlanta and Turner Field. Yes, I am a wimp. After some socializing with some new friends and some of the GREAT runDisney staff, our host Michael, was ready to get us going. He went over the activities for the morning and introduced us to our first guest speaker who would give us a crash course in good running form. Brian from New Balance welcomed us to Atlanta and got us moving around pretty quickly - showing us four simple, but very important steps of good running form: correct posture, mid foot, cadence and lean. Following these steps can make a big difference between a successful finish and a tired finish. You want to feel good - not fall apart! He also displayed some extremely good balancing skills - just notice how effortlessly he balances that letter S on his index finger - such a talent! Brian worked through these exercises with us and then we were ready to go! But wait....this is a runDisney event and it wouldn't be complete without an appearance from Mickey Mouse! He arrived just in time to cheer us on! He was a little winded, but in his defense, he DID run all the way from Orlando and the Magic Kingdom Park! Once Mickey gave the go ahead, we divided ourselves up into two separate running groups – a straight run group with a continuous pace (eh, no thanks) and my favorite, the Galloway method. You can read more about that by clicking HERE. Trust me – I am a firm believer in this method. In fact, Jeff Galloway recently qualified for the Boston Marathon utilizing this perfected technique. For this particular run, we used a 20/20 interval, which is 20 seconds running and 20 seconds walking ( and I mean, walking with a purpose, not walking like you just woke up). Now in all honesty, this really was a quick 2 mile warm up run that would take us past the golden domed Georgia State Capitol, past the Olympic Torch from the 1996 Atlanta Olympics and right under the Olympic Rings, the same route that was ran by some pretty amazing athletes. You would think this would be the highlight of the morning and pretty inspiring, correct? Please don’t get me wrong, it certainly was incredible, but my “moment” was being able to literally run along side (and actually keep pace) with Olympian, runDisney rockstar and originator of the RUN-WALK-RUN method, Jeff Galloway. I used his lolo app on the iPhone to train for my first ½ Marathon and first full Marathon (which were both runDisney, by the way) and it was like having my own personal and LIVE iPhone app as we chatted and laughed along the route. I was in absolute heaven! Once we made our way back into the gates of Turner Field, Jeff gave us the go-ahead to take off and finished the run as fast as we wanted to. I'm definitely not the fastest runner in the world, but every now and then I get a sudden burst of energy and certainly feel like I'm riding the wind. Of course, the photo above is not a great example of that. Once through the main gates of Turner Field, we made our way thru the tunnels and found ourselves on the field and ready to be greeted by a very special friend! As I made my lap around the field, I began to think of all the great athletes that have taken this similar route – that was a pretty cool feeling! After a few pics, I headed back to the main area for some breakfast and coffee and to continue our morning adventures. By the way, the photo above has to be one of my new favorites. Taken on a basic camera phone, and then touched up with an app called "Snapseed" by Google. It will be one of the last pics of Turner Field ever seen! Once we got settled back in, Michael came back to the microphone and really got the crowd pumped up! He said something that I know struck a chord with a lot of people that were there that morning. Michael said "if somebody asks you if you're a runner, don't tell them yes, but I'm a slow runner. Just say you're a runner because that's exactly what you are." That goes along the same lines as "an eight minute mile is the same distance as a sixteen minute mile." Pretty inspiring stuff. 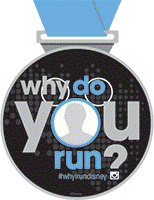 For every race in 2014, from the 5K's to race weekend Challenges, we are telling the story of one runner and why they run Disney. That runner could be you! Tell your story in a 15-second Instagram video tagged with #WhyIRunDisney and the race you will be running in 2014. If selected, we could send a crew to your hometown to see what motivates you and then capture the magical moments during race weekend. Crews are already filming for the Walt Disney World® Marathon Weekend presented by Cigna®. I had a chance to talk with Tammy at length before the morning began. I found her to be an extremely engaging individual and she was genuinely interested in my thoughts about runDisney, what it meant to me and why I started running in the first place. It was nice to hear her throw my name (and a few others I know) out to the crowd during her segment letting everyone know that I was indeed, "Dopey!" Next up was my good buddy Jeff Galloway - he's a staple at any runDisney event and I always go out of my way to visit with him at the Health and Fitness Expos. I was tickled to death that he actually remembered me BY NAME when I visited with him at the runDisney Wine and Disney Expo earlier this year. The creator of the RUN-WALK-RUN method, Jeff will always remind you that ANYONE can run a marathon using his perfected technique. Taking frequent walk breaks will cut down on fatigue, reduce chance of injury and most importantly, let you collect that bling at the end of the race in an upright position! 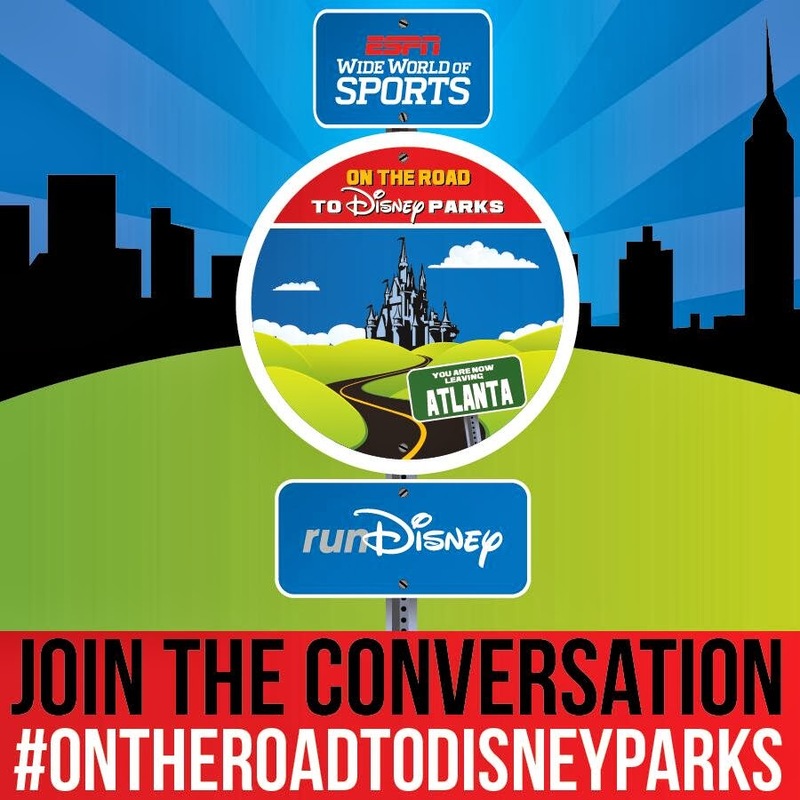 Tara Gidus (@DietDivaTara on Twitter) is the official nutritionist for the NBA's Orlando Magic and also serves in that same capacity for runDisney. She gave us excellent advice on good eating habits and how to properly fuel our bodies while training for a big run and also what to eat in the days leading up to the big race. Small portions, several times daily seems to be a good rule of thumb. I also had a chance to run with Tara a little bit that morning. Sadly, she did not approve of my breakfast choice later that day. I honestly believe had this been the ONLY thing announced at this meet-up, 99.9% of the attendees would have been very pleased! New Balance announced to the crowd the new characters that would be adorning the immensely popular New Balance/runDisney shoes for 2014 - DRUM ROLL PLEASE!!!! New Balance promised that they would have PLENTY in stock at the Walt Disney World Marathon Weekend coming up in just a few short weeks. Whew. No need to camp out! They also informed us that they will be making them for kids as well. I guess it's time to start that family! If you'd like to see more about the shoes, have a look at the video below. Wrapping up the program was Olympian Barbara Parker (four months pregnant, by the way). Barbara started running at a very young age and fully intends to continue after she becomes a mom! Congratulations Barbara - at least you'll be able to keep up with your son or daughter; kids are FAST! No Disney related event would be complete without an appearance from two of my favorite mice - direct from the Magic Kingdom, Mickey and Minnie hung around to snap photos with everyone in attendance. I just LOVE them so much! Don't you? My friend Kristin (@BamagirlRUNS on Twitter) gave me permission to use this photo - it epitomizes the fun loving atmosphere that all runDisney events have! I also happen to LOVE it!!! Thank you runDisney for the TOTALLY AWESOME bags filled with some pretty sweet runDisney swag! You guys always take such good care of your fans! 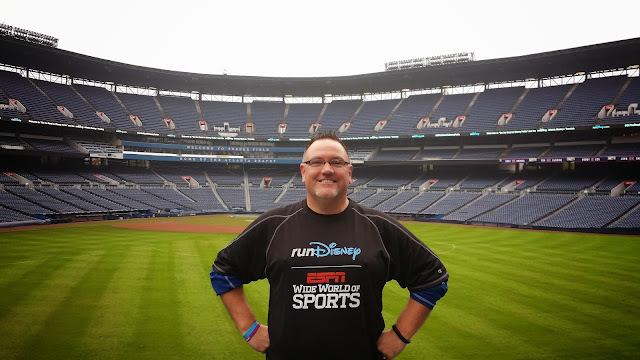 A HUGE thank you to the City of Atlanta, Turner Field and the Atlanta Braves, Jeff Galloway, Tara Gidus , New Balance Shoes, Barbara Parker, Disney Sports and of course, runDisney for making this first time event truly wonderful for all in attendance. We appreciate you all so very much! 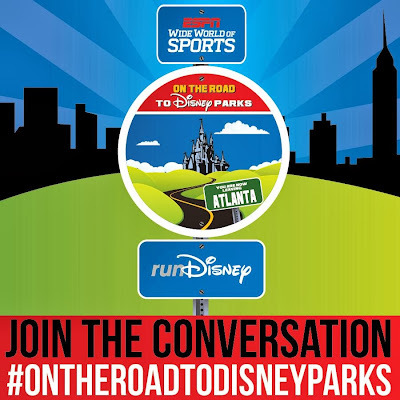 Keep your eye on the Disney Parks Blog for future runDisney events that could be coming to a city near you very soon and if you can attend, don't hesitate! You'll enjoy every minute of it and you just might convert to the runDisney family! Thanks to runDisney for the great photos!